The Exigo Lateral Pulldown is part of our exceptional selectorized upper body range, used in strength training by anyone serious about strengthening the back muscles and getting in shape. This machine can be used to help train the laterals, deltoids, biceps, triceps, trapezius, pecs, rhomboids and core abdominals. Ergonomically designed and manufactured in our UK factory to provide optimum seat placement and pulley to ensure comfortable and correct alignment during exercise. 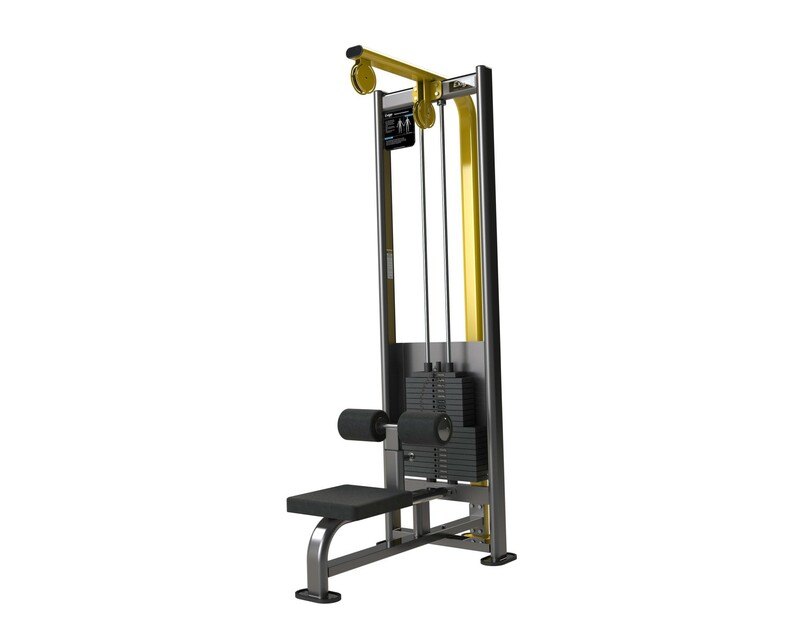 Thoughtfully engineered the Exigo Lat Pulldown boasts cushioned thigh pads for additional comfort and longer training sessions. The 5Kg incremental adjustments allow for a wide range of intensity and user profiles. This professional piece of gym equipment is an effective plus safe way of working out whether you’re a complete beginner or seasoned athlete. Built using only high quality components, this machine is perfect for any commercial gym, home gym, or training facility.